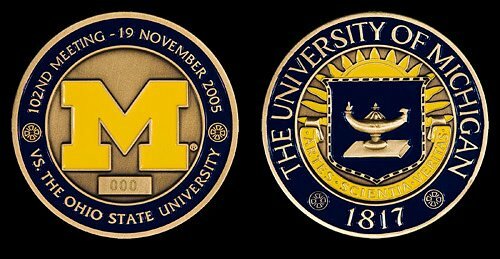 A set of limited edition Michigan Commemorative Sports Coins. 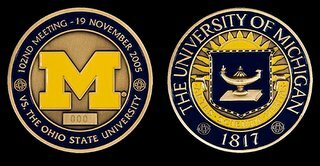 Seven coins, one featuring each of Michigan's seven home games during the 2005 football season. I won them by entering a drawing online for at the radio station my husband listens to.